Feverfew (Tanacetum parthenium) is a perennial plant in the Asteraceae family. Sesquiterpene lactones are considered the active constituents in Feverfew‚ with parthenolide considered the most bioactive. 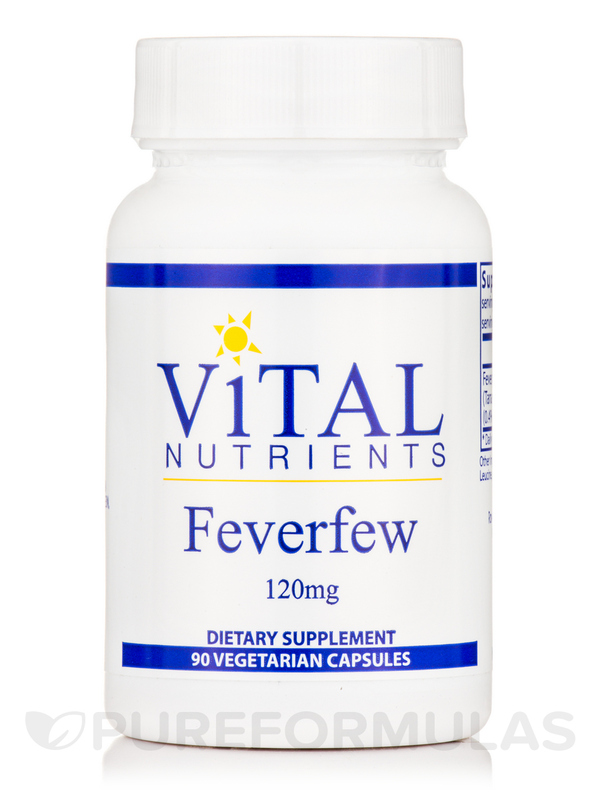 Vital Nutrients Feverfew in standardized to 0.4-0.7% Parthenolide. 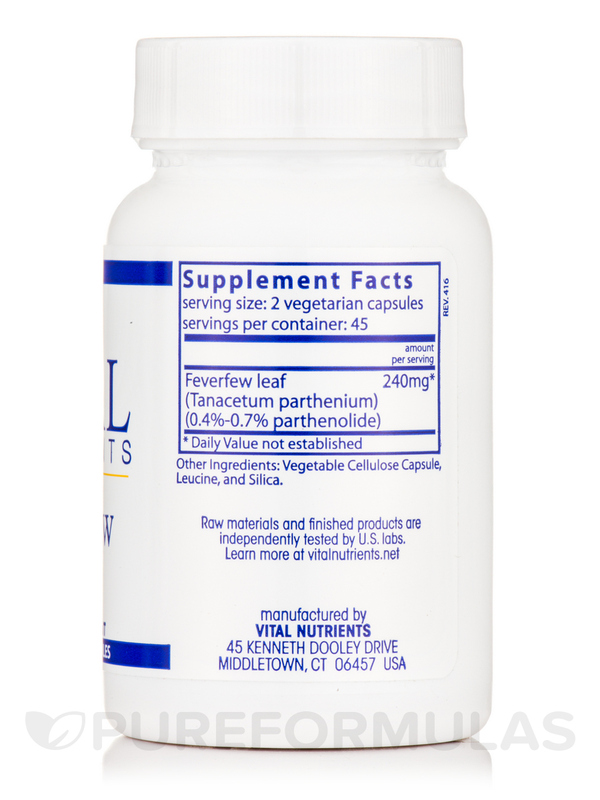 Feverfew may promote a healthy inflammatory balance and support cranial blood vessel stability‚ which may promote head comfort when taken daily. 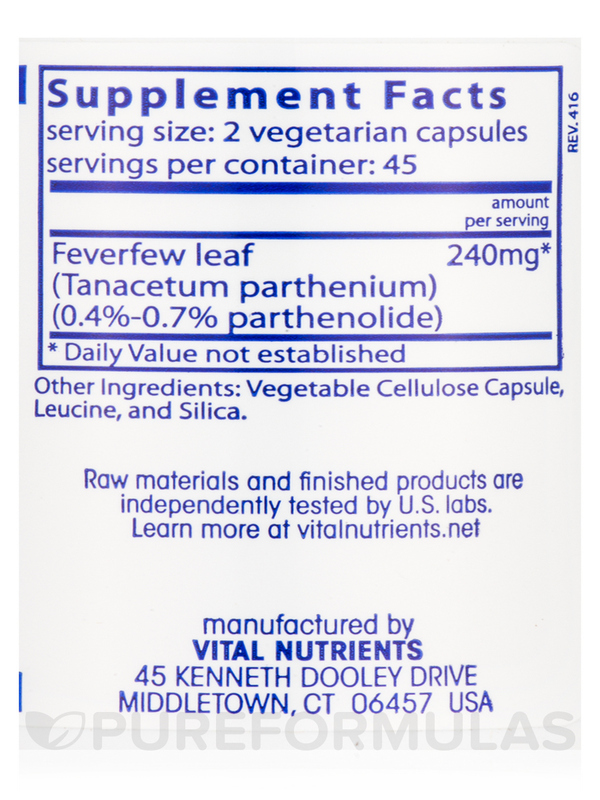 Other Ingredients: Vegetable cellulose capsule‚ leucine‚ and silica. 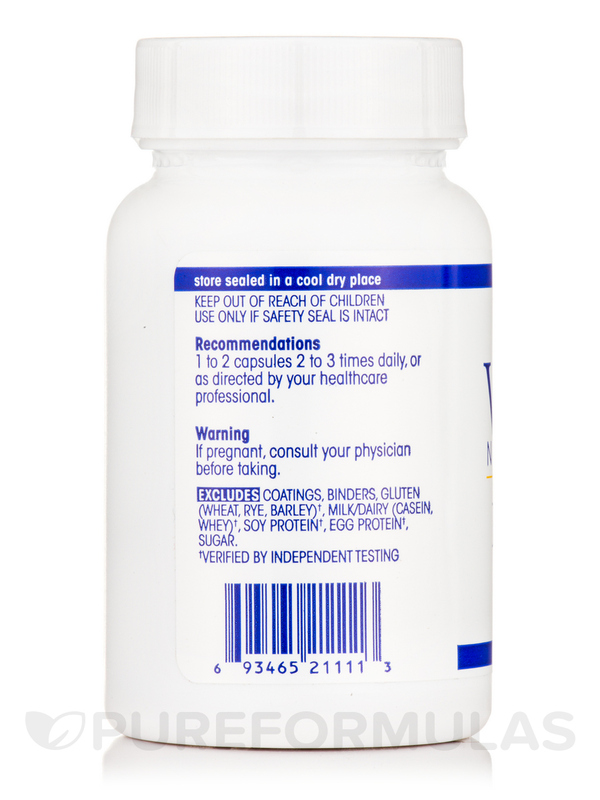 1 to 2 capsules 2 to 3 times daily‚ or as directed by your healthcare professional. I have been using Feverfew about 3 years. It was recommended to me by my Naturopathic physician as an aid to prevent migraine headaches. 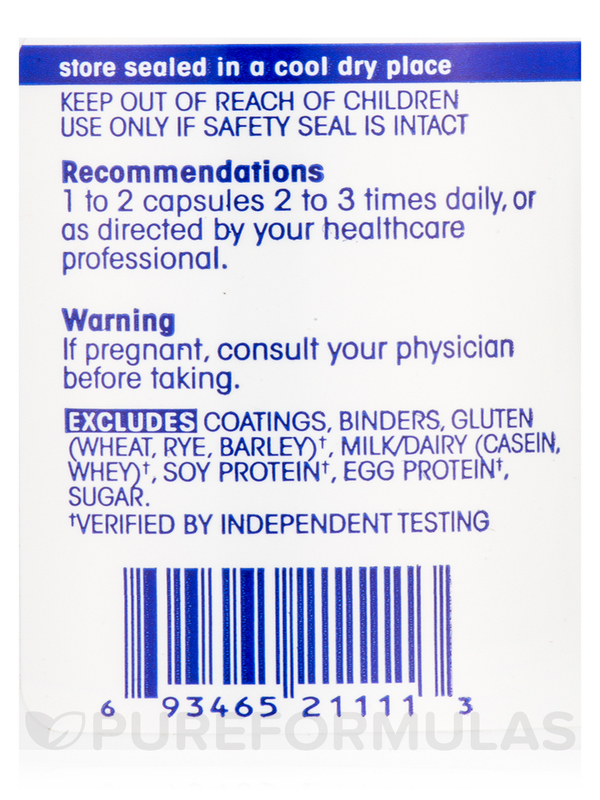 I chose this brand because it is standardized to 0.4% to 0.7% Parthenolide which was the active ingredient I was looking for. I marked the question about recommending it to a friend as negative not because I think its a poor product but because I feel any herb should be taken only with a doctors supervision. I would mention it to a friend who has a similar condition to mine but only so they could ask their doctors advice. I plan to continue using Feverfew.